For most children, their bedroom is a place to escape and daydream. 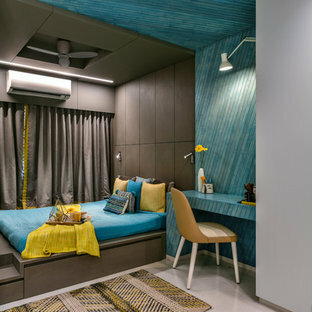 A space dedicated to homework, games, books and toys. 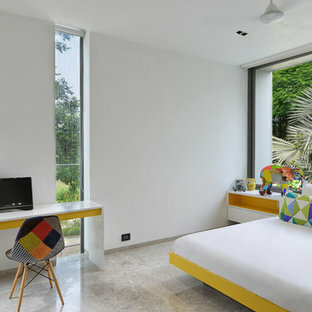 So it comes as no surprise that most kids’ room designs are fun, bright and have engaging decor. Because kids’ room themes are endless they pose a design challenge, as children's preferences change very often. 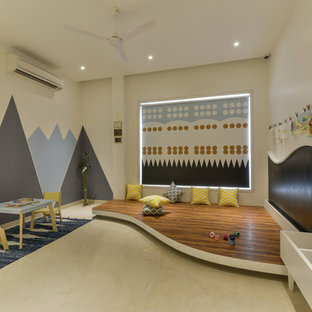 The trick to a smart design for a playroom, teen or kids bedroom is choosing one that will go the distance with fun, growth and practicality. Get some inspiration by browsing through kids’ room ideas. 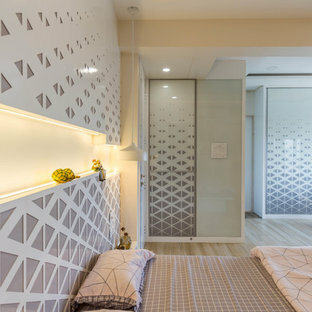 How do I design a kids’ bedroom? It doesn’t matter if you are working on a boys’ or girls’ bedroom design, start by ensuring the layout of the room is fully optimised. 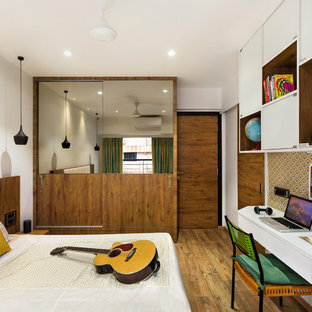 A well-planned kids’ room design is functional yet creative enough to kindle imagination. Spend time thinking about the layout of space, you want to be sure there is enough room for all activities and hobbies. Neutral colour paint works as a great base for childrens’ room decor. While investing in multifunctional kids’ room furniture, opt for full-sized wardrobes and beds.Install hanging organisers, add another rod for clothing and put in accessible drawers. Strategically place baskets and toy chests around the space, and encourage your child to throw items in these containers after use to quickly clear space. 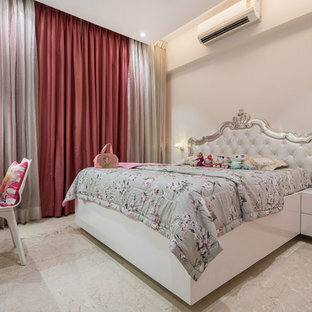 How do I decorate a kids’ bedroom? The best experts in kids’ room decor are kids themselves, so try to involve them in the design process. Use your little one’s favourite activity or character as a theme. 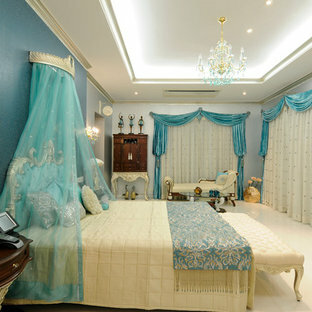 Incorporate it on the wall using decals or wallpaper and extend it to through bedding and soft furnishings. If a theme or character isn’t really for your child then explore colours and patterns. For example, a girls bedroom doesn’t have to rely on lashings of pink; instead use polka dot bedding and sheer canopies creatively. 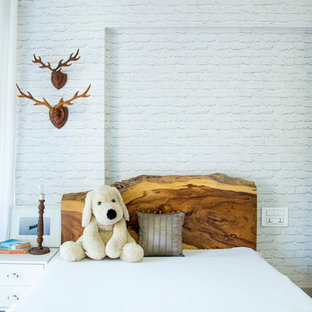 Looking for boys’ bedroom ideas that don’t involve car beds and sporting memorabilia? Liven up the walls by painting on racing stripes or keep it simple with a blue and white striped wallpaper. 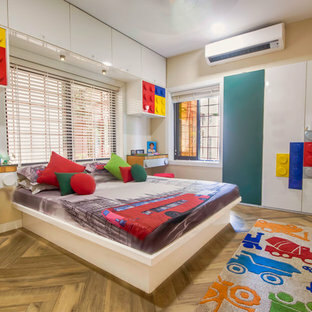 How do I design and decorate a shared kids’ room? 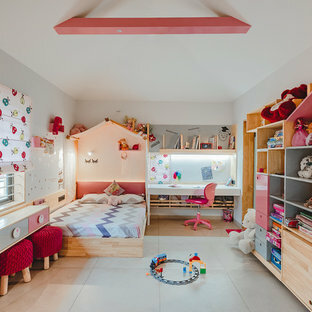 If you have two or more kids at different ages, with varying styles, tastes and preferences, creating a shared childrens’ bedroom design can be difficult. Start by giving each one of them their dedicated space. If you are not constrained by space then split the room so that each kid has their own bed and dresser on “their” side of the room. If that isn’t possible, find an arrangement that feels fair and doesn’t cloister them too close together. Bunk beds are a popular choice and space saver for shared rooms. Remember keep the permanent pieces like the wall and furniture colour consistent and neutral throughout the room. With the input of the children, this room can be a collaborative and fun design process. Need a series of storage options? Go with the lime green baskets for one, the pristine whites for the other.